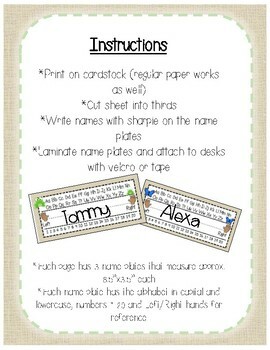 Printable name plates! 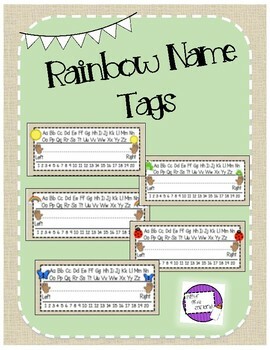 Three name plates per page. Five different spring images: sun, frog, rainbow, ladybug and butterfly. 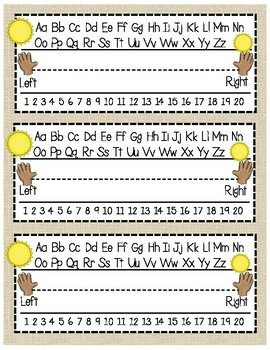 Cut the page into thirds, write students name and laminate to use. 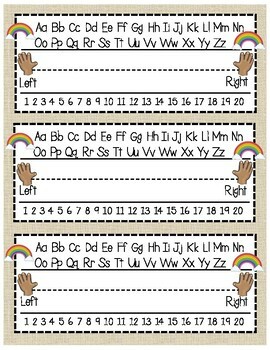 Each name plate has lines for writing, the alphabet capital and lowercase, numbers 1-20 and Left/Right hands.